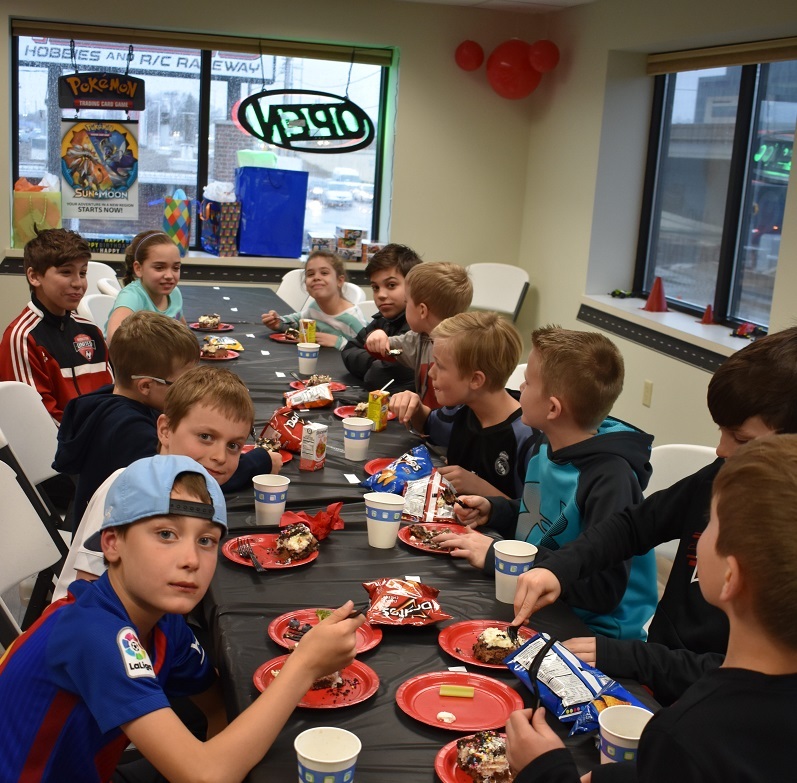 After building and racing their Tamiya Cars, your party guests will gather in the upstairs in the private party room to celebrate! You get to choose how you use your time in the party room. You can stick to gifts and cake or you can upgrade your package to include a pizza party! We usually save 30 minutes for this Celebrating Step.